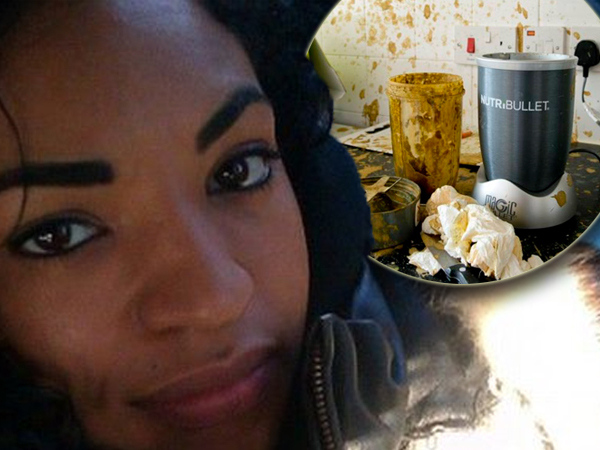 A woman was left with second degree burns after her NutriBullet blender exploded in her face. Tysha Stapleton, from South London, might be left scarred for life after scalding juice hit her face, neck, chest and arm. The trainee fitness instructor reportedly bought the “super food extractor” last week for about R2000 from a local appliance shop. After the blender stopped working on its second use, she took the juicer off its motor and tried in vain to unscrew it, before it exploded in her face. “It isn’t supposed to be hot but it must have heated up on its own and exploded,” she told The Sun. “The pain was horrific. I could feel my skin burning. The mom-of-one was rushed to hospital to have her burns treated at Chelsea and Westminster Hospital. Despite the best efforts of doctors, Tysha will probably remain scarred for the rest of her life. NutriBullet said it would not comment on the incident until it had been investigated.